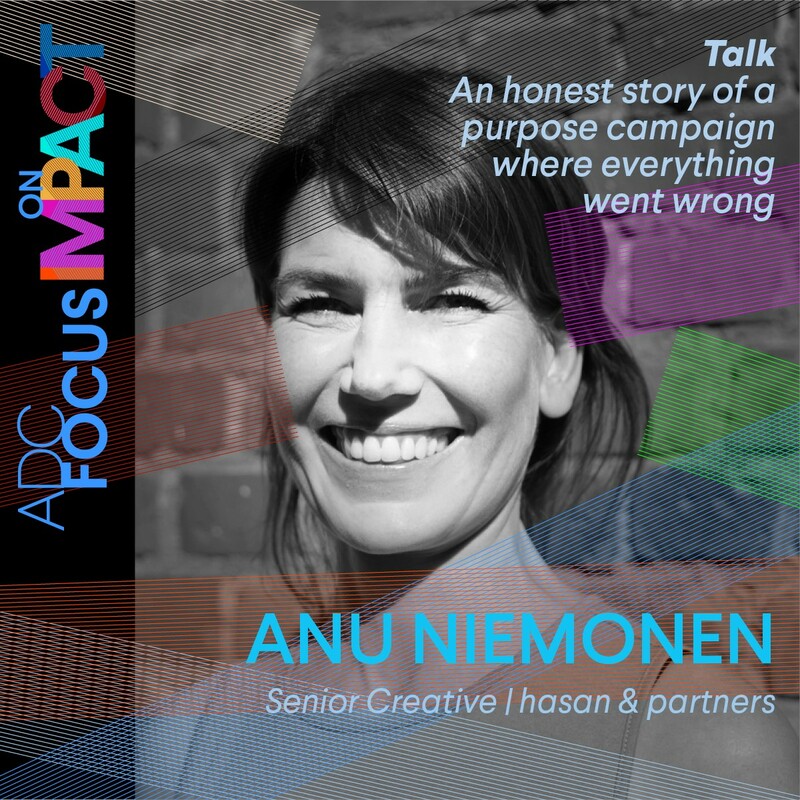 One of the guests is Anu Niemonen, Senior Creative | hasan & partners. Anu Niemonen is one of the most awarded creatives in Finland. Her passion is to create integrated campaigns and she strives for innovative use of media and stretching the conventional setup. Anu is a hard-working woman with a strong Can do -attitude. Her work has been awarded in all the major award shows around the world, including Cannes Lions, Clio Awards, Eurobest and Epica. Anu is also a frequent jury member and her jury duties include Cannes Lions, 3-times Clio Awards, ADC Awards and multiple seat in national award juries in Finland. Now Anu is taking Executive MBA at Berlin School of Creative Leadership. Between 6PM and 6.40 PM, Anu will present an unique case study about the first and last time the whole story of a campaign that first won the ADCE Creative Distinctive Award but was eventually pulled out.